CRM software helps companies stay close to their customers by managing all aspects of the relationship. That spans the entire customer lifecycle: first contact, ongoing inquiries, lead nurturing, conversion, renewal and long-term interaction. "CRM" stands for customer relationship management, which goes far beyond chasing leads and closing sales. Zendesk integrates smoothly with CRM software packages. The result is better customer relationships. When companies have full management of their sales and marketing tools in one place, integrated with their help desk, customer service wins. Many companies - especially small businesses - think that simple contact database software is an adequate solution for tracking customer contact. But the management of customer relationships over time calls for a system with processes, procedures, workflows and tracking. CRM encompasses marketing and sales activities, both inbound and outbound. The relationship between a company and its customer base is too important to leave to one-off products and tools that do not integrate well with larger CRM solutions. Eventually, CRM grows from the management of the company-customer relationship to management of many other sales details about prospects, vendors, co-workers, pricing, pending deals and even competitors. Without CRM, the complexity and connections become too difficult to follow. CRM software has evolved beyond client tools to cloud applications that users can access from anywhere at any time. Smart companies provide their users with 24/7 cloud access from computers or a mobile app to offer customer support in the moment when it is most needed. Integrations with software for the management of enterprise resources and supply chain draw companies even closer to their customers. Implementing CRM is the best way to ensure that marketing and sales efforts bear the most fruit in the long run. Marketing campaigns yield better-qualified leads that lead to more sales and stronger customer engagement. Strong CRM also includes integration with multiple communication channels, so that users have software access to data from their company's marketing collateral, pricing, website, chat history, phone records, email and social media. Customers also benefit from a well-implemented system of CRM. The better a company integrates all the information about its relationship with a customer, the better it can deliver customer service and the more the customer is satisfied. The essence of CRM systems is to enable large, medium and small businesses to understand their prospects and customers and deliver optimal customer service. Software is the best way to accomplish that. In most companies, IT manages the implementation of the CRM system and handles integration with other business software and applications. The sales team then manages day-to-day operations and processes for users. With adequate management, the return in customer satisfaction far outweighs the cost of maintaining a CRM system. Most small businesses start out with a simple list of prospects, often in a spreadsheet. At first, the pricing seems right and the need for a bigger system is unclear. But as small businesses become medium-sized ones, then large ones, users begin asking for more features for better support and management of their marketing and sales processes. They see the potential value in licensing CRM software and in graduating from mere sales to CRM. Some vendors provide free trials of CRM software, but as the saying goes, "If the software is free, then you're the product." Among the most important features in a CRM solution are flexible pricing, client software, a mobile app, cloud integration for always-on access, and the ability to manage leads all the way through the sales funnel. Free software for customer relationship management may include those features, but will it scale up as a long-term solution? Eventually, integration between the CRM and other business software solutions also becomes a priority. Free CRM systems do not always include the API (interface) support needed for successful integration, and the business ends up with a strong contact app but not a robust CRM platform. An initial investment - even a gradual one - in CRM software pays off in long-term customer satisfaction. 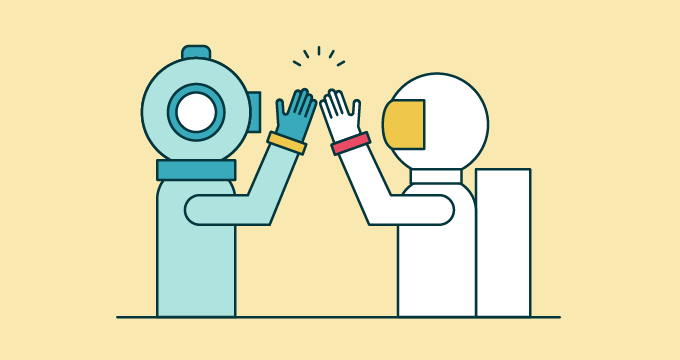 Zendesk excels as a customer support tool, once the customers start arriving. To build out their marketing and sales efforts and manage customer service, many businesses integrate their CRM with Zendesk. They deploy both CRM and Zendesk because of low subscription costs, simplicity, workflow, customer login access, community forums and social media integration.